The city of Miami Gardens covers an area of approximately 20 miles and is located between at the midway point between Fort Lauderdale and Miami. In the 1960’s, residents of nearby neighborhoods began to migrate to the area now known as Miami Gardens. Currently, it is a collection of neighborhoods that were annexed into the city starting in 2003. It is a family-friendly city with the average age of its resident slightly under 36 years old. It is best known for its sports and entertainment facilities, which include the Calder Race Track and Dolphin Stadium. Easily accessible from the Turnpike, Palmetto Expressway, and I-95, Miami Gardens experiences a considerable amount of traffic from its resident commuting to work, commuters from neighboring cities passing through on the highways, or visitors to their sports centers, Miami Gardens experiences a high level of traffic congestion throughout the day. With much of congestion occurring on major highways and roadways, accidents that occur due to driver negligence can be quite common. Drivers who are in a hurry to get to and from work may speed, ignore traffic signals and signs, change lanes recklessly, or not use proper signals can cause accidents that result in serious injury and property damage. If you have been the victim of a car accident, you may have questions about obtaining medical treatment, paying for car repairs or your insurance deductible, and how you can recover lost wages. To find out what your options for recovery may be, contact the Miami Gardens auto accident injury lawyers at the Wolfson Law Firm at 305-285-1115 for a free consultation. Accident victims often sustain injuries in automobile accidents that may be the result of driver negligence. Drivers have a responsibility to operate their vehicles using reasonable care. Their failure to operate their cars using this standard of care, given the circumstances, is negligence. 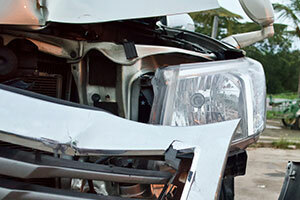 Driver negligence is often the basis of most damage and injury claims in a car crash. Many factors are analyzed when determining driver negligence. These often include the consideration of the driver’s speed, distractions, adherence to traffic signs and signals, and reckless conduct. Establishing the negligence of the at-fault party is key to an accident victim receiving the compensation that they deserve. Compensation for accident victims is often based upon the degree of fault that each party plays in an accident. Proving that the other driver was negligent increases your chance of receiving fair compensation to recover from your injuries, lost wages, and property damage. If you or your loved one have been injured in a car accident, contact the Miami Gardens car crash injury attorneys at 305-285-1115 for a free consultation. How do our Miami Gardens automobile accident injury lawyers serve you? The Wolfson Law Firm proudly serves clients located in Miami Gardens, as well as the surrounding cities of North Miami, Miami, Hialeah, and Miramar. If you’ve been injured as the result of another driver’s negligence, the Miami Gardens automobile accident injury attorneys at the Wolfson Law Firm can answer your questions and guide you through the process of restoration. If you or your loved one has been injured in a car accident, contact the Miami Gardens car accident injury lawyers at 305-285-1115 for a free consultation.